@donnyo was kind enough to be my Facebook Whisperer and point out this rather interesting photo posted by Lost San Francisco. It looks to be an earthquake relief kitchen / restaurant. 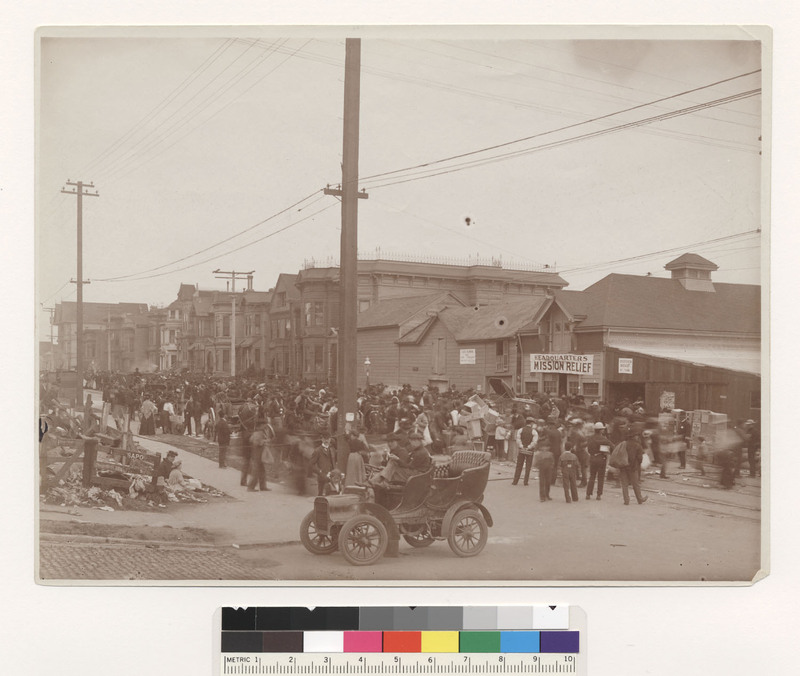 …and figured out that this was taken in taken in La Lengua, looking west at the intersection of San Jose Ave and Army Street (where St. Luke’s currently sits). The Bancroft Library would have been to the left of and a little behind the photographer. 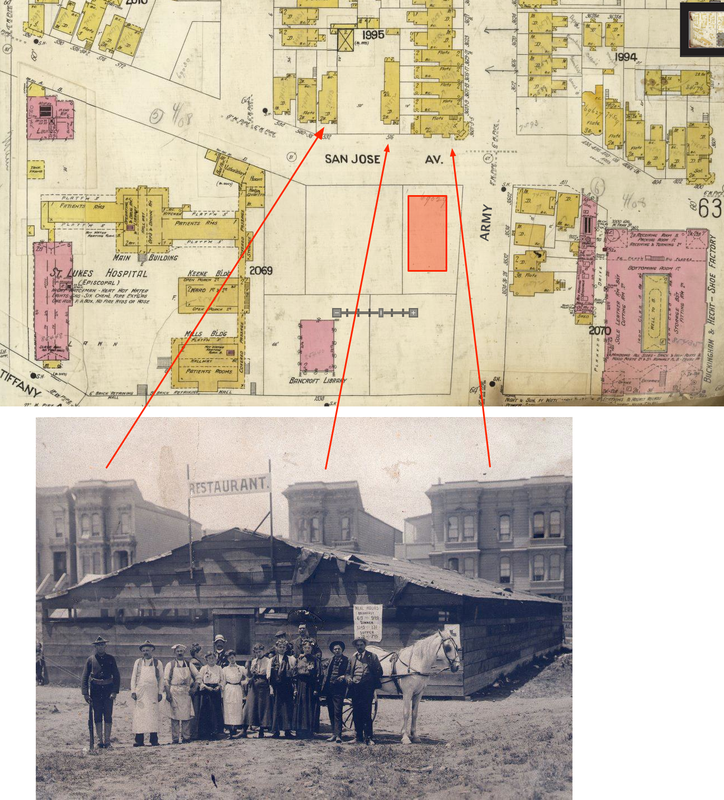 You can see the buildings behind it on the 1905 Sanborn fire insurance map. Unfortunately, all those houses along San Jose Ave were torn down in the 1960s to build the ever exciting St. Luke’s parking lot. 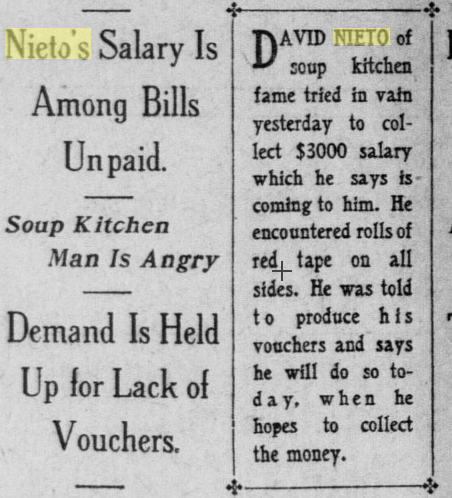 I was able to dig up an article on the restaurant and its founder David Nieto from the San Francisco Call using the all-powerful California Digital Newspaper Archives. But this being in the SF Call, there’s drama to come. Uh oh! 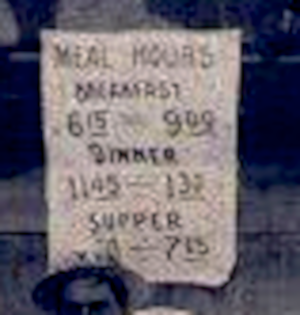 It looks like two of his other kitchens (on 19th & Dolores, and 16th & Carolina) got shut down in August 1906 for risk of flies and typhoid. Nieto is a pretty distinct name, and there are lots of results for him in the SF Call. Seems like red tape got in the way of him getting reimbursed for his soup kitchen work. Soup Kitchen Man Is Angry! So David Neito’s got to be in the photo, right? When we have our big earthquake, I suspect food trucks will play an important part of San Francisco’s rapid recovery. At least they will have a track record. 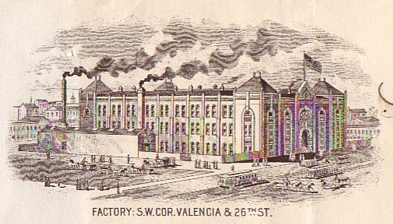 One of many ads for a San Francisco company emphasizing they were still in business. Fret not, Buckingham & Hecht is on my list of things to write about some day. Anyone been inside? This is awesome. I am actually surprised that some enterprising San Franciscan hasn’t already dug up the menu and opened an earthquake-themed food truck. I know some Nietos from Bernal Heights — one side of the family had a grocery store on Crescent. I will ask them whether there’s a connection. There’s a William Nieto on Gates Street in Bernal Heights. Related? I’m Chris Anderson of the “Lost San Francisco” page on facebook. Thanks for posting the story of this photo, which was sent in by one of our viewers. I really like the part in the article that they keep the restaurant “as free from flies as possible”! We love your page and the work you’re doing! Hooray! The blog-Facebook barrier has been breached with no effort on my part! (Well, other than writing this post.) 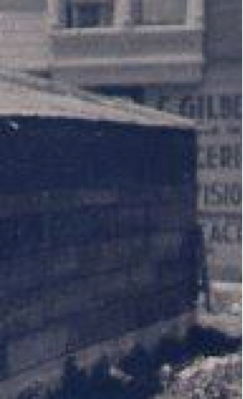 Thanks though, great photo, and ping me @burritojustice if there are other mysteries to be solved. Hi! 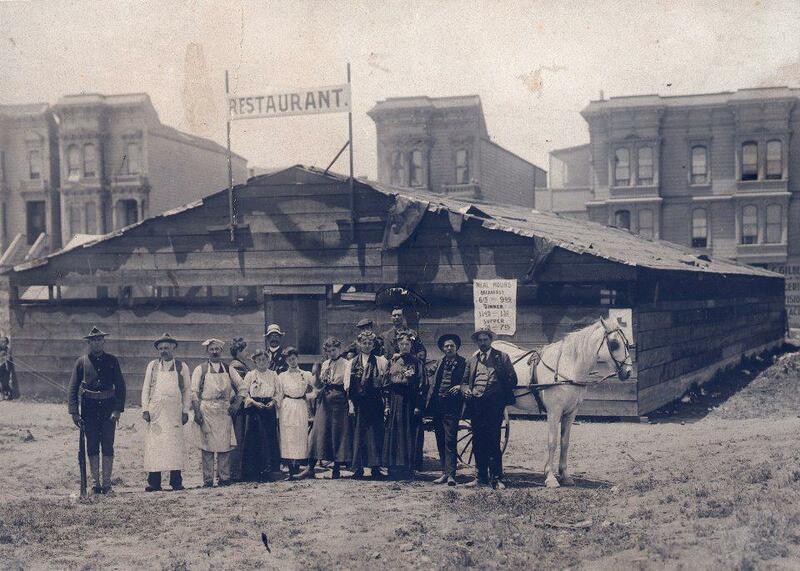 I’m the person who owns the photo and shared it with Lost San Francisco. I’m thrilled you found out so much information! Now, if I can only figure out why it was in the photo album in inherited from ancestors who lived in North Beach and survived the earthquake. The tall guy in the back is circled, if you zoom in, but he doesn’t look like one of my relatives. Maybe a family friend. 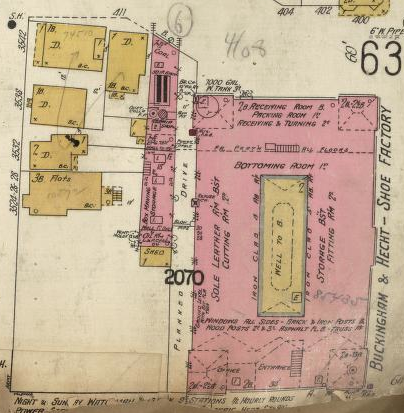 “The first hot food camp under the Desmond regime opened on Lobos Square on May 12, 1906, and this system was rapidly extended throughout the entire city (with the exception of the seventh relief section), as shown in the map herewith (Appendix F). I love this 25th and Guerrero intersection (half a block from where I live) with an old Rambler in the picture. Some of the houses in the back are still around. And the place above is also really close to the mission relief headquarters as well.